A sensational soft and moist meyer lemon pound cake! Yup, I just called a cake sensational. I may be losing my mind but if this is what losing one’s mind is, I am all for it. Because this meyer lemon pound cake is SENSATIONAL!! It’s one of the best pound cakes I’ve had in a long time and the fact that it is lemon… sweet and citrusy meyer lemons to be exact… make it even extra special. But guess what? This cake is as easy as mixing three ingredients together. Yup, I used a pound cake mix to make this cake. None other than Krusteaz! Krusteaz is a family owned company that have been making well-loved baking mixes for decades. The hubs introduced me to their pancake and waffle mixes back when we were dating and just moved in together. He swore by them and that’s the only brand I could get at the grocery store (something about always having it at his grandmother’s back when he was a little person). 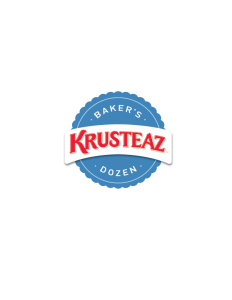 When Krusteaz asked me a few months ago to join their “Baker’s Dozen” group, I was honored they wanted me to join their elite group of bakers but I was also skeptical. Did they check out my blog? I am usually baking from scratch as I teach myself basic baking techniques. But since I was already familiar with their products, I was open to give a few others a try and only jump on-board if I loved them. And I did!! This meyer lemon pound cake was the first one I tried and have been singing it’s praises since. It’s a super soft, really moist and crumbly pound cake. 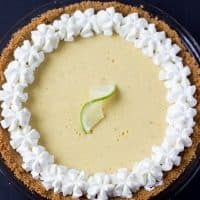 It’s very light in flavor and the meyer lemon is outstanding on it’s own. I did not tinker much with their recipe as I wanted to try the cake in it’s true form. I served this meyer lemon pound cake with fresh berries and a dollop of coconut whipped cream. 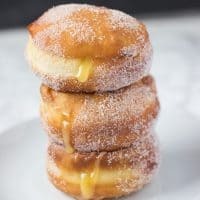 I am very excited to be a part of the Krusteaz Baker’s Dozen blogger ambassador group along with some fabulous blogger friends. Over the next few months, I’ll be experimenting with their amazing products and reinventing them with new and creative twists to create recipes I know you will all love!! Preheat oven to 350 degrees. Grease a medium loaf pan (8.5" x 4.5") with baking spray and set aside. In a medium bowl, whisk the cake mix, melted butter, vanilla extract and water. Whisk until just combined and no lumps are in batter. Do not over-mix. Remove cake from oven and let cool in pan for a 5 minutes. Loosen cake around the pan and release from pan. Let cool on a cooling rack. I love enjoying warm and fresh. 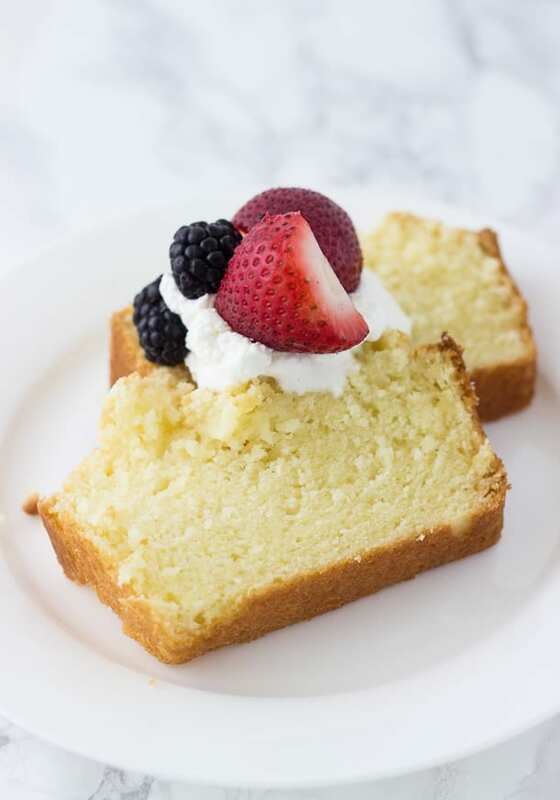 Serve slices of pound cake with freshly whipped cream and berries. Disclosure: I am sharing this recipe in partnership with Krusteaz, for whom I am proud to be a brand ambassador. As always, all opinions are mine and THANK YOU for supporting the companies that make it possible for me to continue creating great recipes for you. 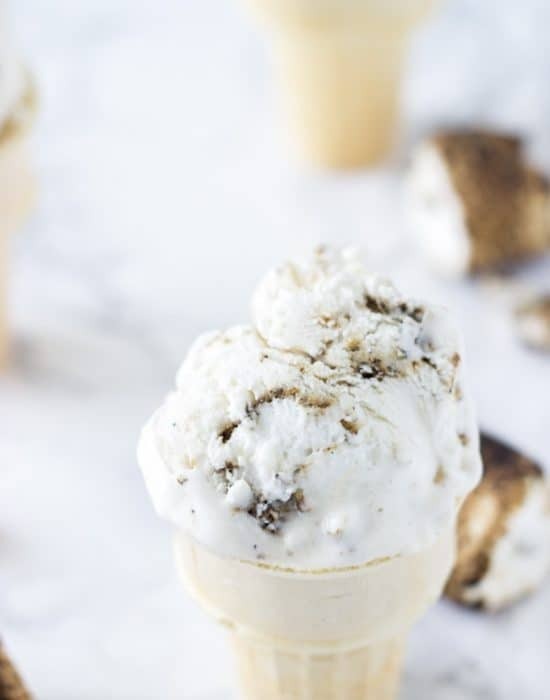 For more recipe ideas and inspiration, check out Krusteaz on Facebook, Twitter and Pinterest. Meyer lemon anything is an absolutely favourite of mine! And gosh, the crumb of this looks absolutely delicious. I must make this!! You make meyer lemon look mighty fine girlfriend. So beautiful! Two of my favorites in one — this look fabulous! This looks beyond sensational! If that makes me crazy along with you, I’m totally fine with it! I seriously want to stuff my face with slice after slice of this pound cake! 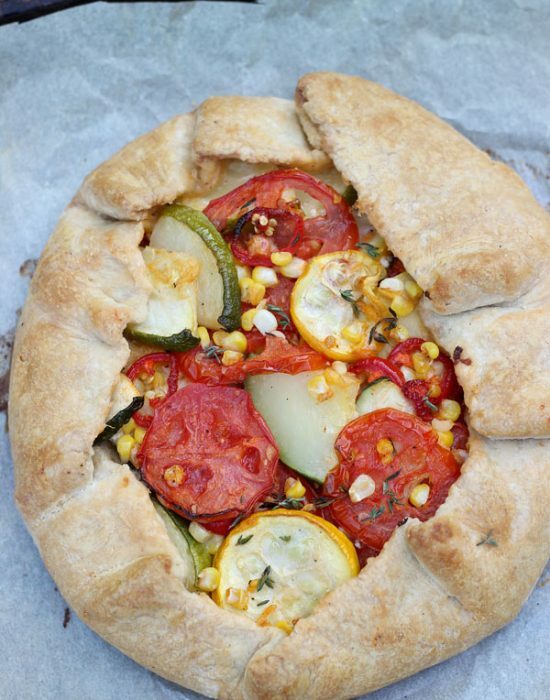 LOVE how light and airy it looks, plus the meyer lemon flavor?! Gimme dat! Lots and LOTS of dat!! 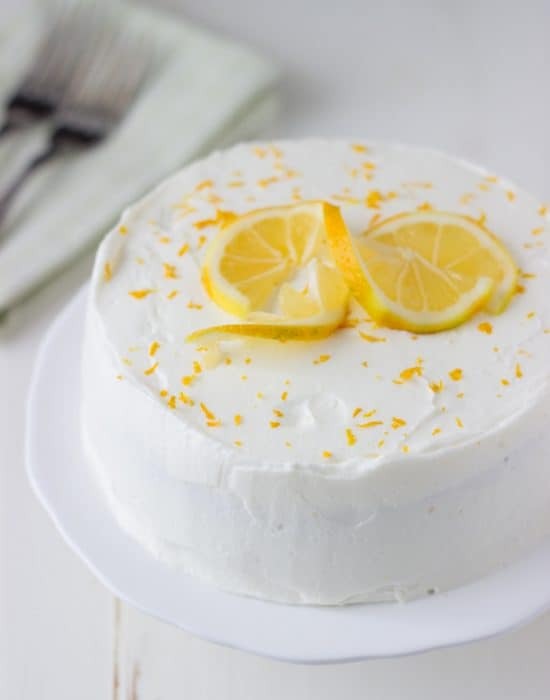 I seriously could eat anything lemon for DAYS, and this cake is looking like my next breakfast, lunch and dinner! SO pretty! It can definitely be perfect for all three meals lol! 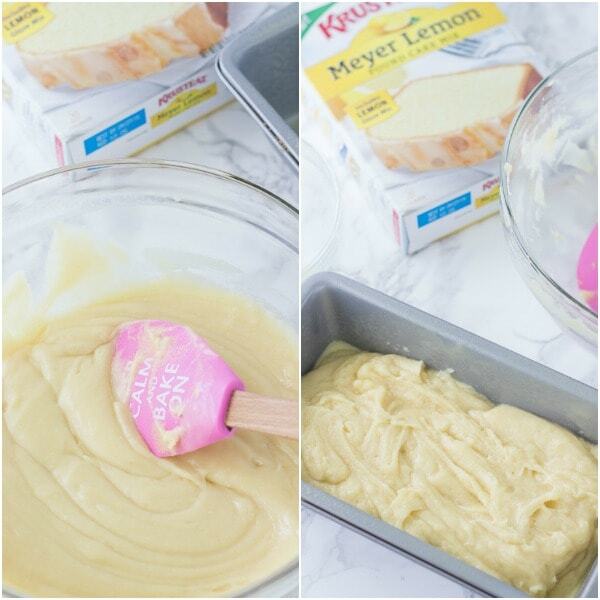 Z, I love the Krusteaz Meyer Lemon Pound Cake Mix!!!! love the fresh whipped cream with berries and love that rubber spatula! where did you get it? I think I got that from a baking friend..Julie of my sweet and healthy life. I love it!! It makes me happy. I had no idea Krusteaz had a meyer lemon pound cake mix! I love meyer lemons, and this looks like one amazing dessert! Oh yes!! I was so surprised myself lol! Well, you know how I feel about meyer lemons. And cake for that matter. Ha! This is gorgeous and I am definitely getting myself some of this Krusteaz mix! This pound cake looks amazing! 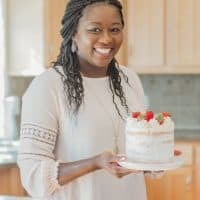 I love Krusteaz products so I’m definitely loving this cake. 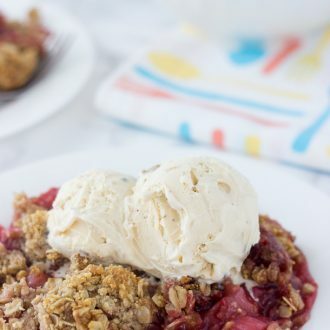 Sounds perfect for breakfast or dessert! Zainab, I love Krusteaz products. When I am rushed for time and can’t make something from scratch they are my go to brand! Their raspberry bars are killer! 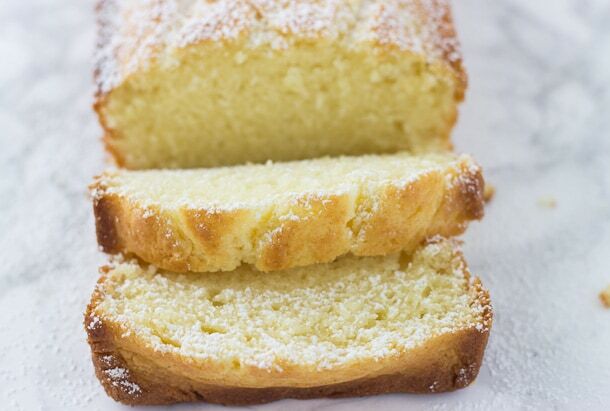 I have never tried their Meyer Lemon Poundcake but it looks and sounds delicious! They are so reliable especially for when you are in a pinch. Girl, you know I love me anything lemon. So glad to join the Bakers Dozen team with you. Wahoo! Yes!! I am super excited! 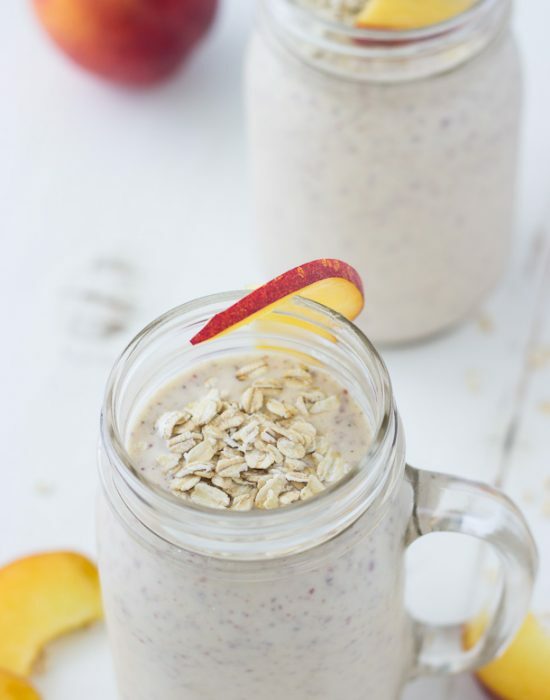 Will you be going to IFBC? I am loooving this cake! 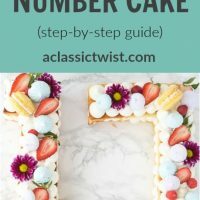 I love how simple it is to make because we all need to use the occasional cake mix, right? I’ve seen the brand around, but never used them myself. I need to check them out! 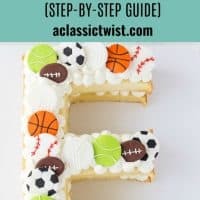 Pretty much the easiest cake!! Sensational doesn’t do this justice, it looks beyond amazing and wishing I had it on a big ol’ plate in front of me now! Pound cake with berries and whipped cream is totally a summer staple at my house. I love that added twist of Meyer lemon and coconut here. The cake itself looks so moist and buttery! It really does sound sensational. 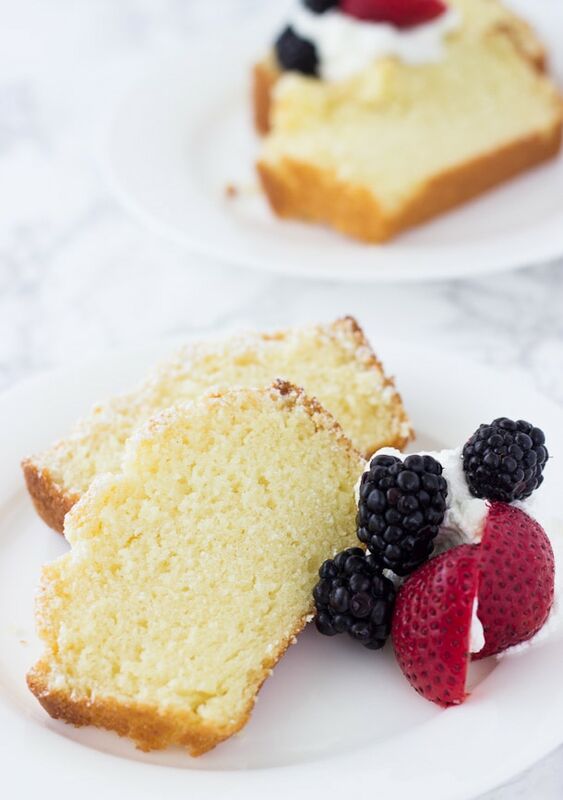 That pound cake looks so soft and perfect with fresh berries! I LOVE lemon cakes. I don’t know why, but lemon in cake form is one of the most delicious desserts I can think of, and this is coming from a chocolate girl. And gotta love Krusteaz! lemon in cake form is just delicious I agree!! I can never get enough citrus pound cakes! And I LOVE meyer lemons! So naturally, this cake sounds wonderful to me! Mmm I love a good pound cake! I used to make one all the time around the holidays! This one is so pretty! I love taking baking shortcuts sometimes, and Krusteaz has the best mixes! What an awesome partnership! This pound cake looks so summery and delicious. Thanks Cate! I am very excited to work with them and bringing new recipes to the blog! This cake SCREAMS, “Make Twice”! I have a weakness for lemon cakes and this my friend-hit the spot! YUMMERS! It really does scream make twice!! I’ve been seeing your name everywhere today, Zainab! Great baby shower. Congrats to you! Mixes can be awesome. I’m a big fan of Krusteaz. They’re fun to play around with, too. This looks fantastic. It’s been very fun, today, to see all my favorite bloggers congregated for one very important event! How exciting, Zainab! 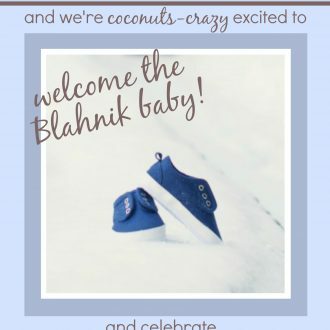 Congratulations and much happiness to you and your new little family! And this cake – wonderful!! Thanks Monica!! We are super excited! Cake mix sounds like a really good idea esp for folks like me who are not so good on their baking. You are good Bintu but cake mix makes life so much easier when in a pinch. I have been looking all over for krusteaz Meyer lemon pound cake mix, but can’t find it anywhere. Do you have any idea where I ca buy it? Thank you. 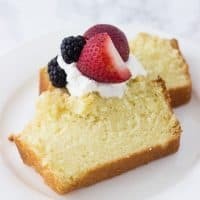 Krusteaz lemon pound cake is wonderful and so easy to make … and it tastes like it’s made from scratch!! Sometimes I’ll prepare two boxes per instructions and bake in a single bundt pan. It comes out perfectly! If you’re “in” with the folks at Krusteaz, please ask them to bring back their regular pound cake mix! They’ve discontinued it. It was just as incredible as the lemon pound cake! 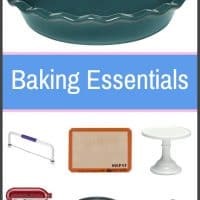 Happy baking … and eating! Have you ever tried it with applesauce instead of the butter? Just trying a little healthier! Hi Erin, I haven’t but do let me know how it turns out! IiI just made my first Meyer Lemon cake, I was very disappointed it it, as it is only a little over an inch high. What did I do wrong? Followed the box directions to a T except the box did not say to add Vanilla , which I did not.